Place pork roast in 3- to 4-quart slow cooker. Top with soup mix (dry), molasses and red pepper. Cover and cook on low heat setting 7 to 9 hours. Remove pork from cooker; place on cutting board. Shred pork using 2 forks. Stir shredded pork into juices in cooker. 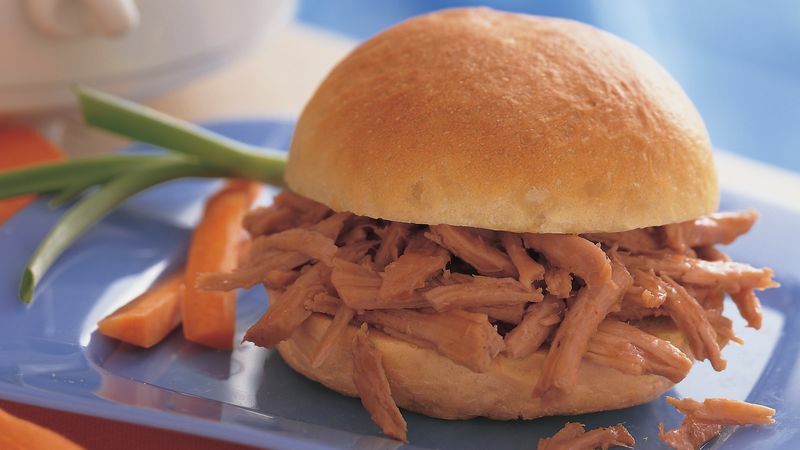 To serve, remove pork with slotted spoon; fill each bun with 1/2 cup pork.